If your smile is marred by missing teeth, you’re probably not enjoying life to the fullest. 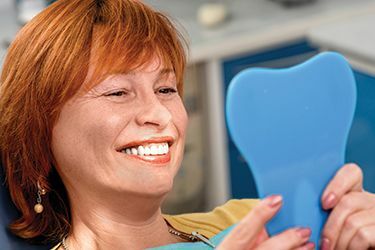 At Capital Smiles, a restorative dentistry practice in Schenectady, we can revitalize your appearance and restore oral function with durable, attractive dental implants. Dental implants are custom-made, life-like prosthetic teeth that will blend seamlessly into your existing smile. 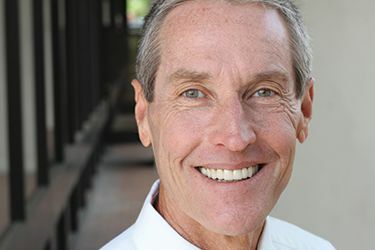 Implant posts are placed in a patient’s jaw and topped with custom fabricated restorations – crowns or dentures - that look and feel like natural teeth. Because implants mimic the root-and-crown composition of natural teeth, they offer a replacement solution based on nature’s design. No matter what kind of implants you receive, only you, Dr. Shiloh Lieberman and Dr. Erin Page need to know they aren’t real! Best of all, our practice utilizes 3D cone beam imaging to more accurately measure bone density when choosing the best location to place an implant. The precision and accuracy afforded from this technology not only makes for a better end result in function and aesthetics–it also gives patients the best quality available that truly stands the test of time. Dental implants are widely considered the most complete and state-of-the-art tooth replacement available today, but does that mean they cost an arm and a leg? Truthfully, dental implants actually turn out to be the most cost-effective option thanks to their longevity and other factors. The overall price can vary from patient to patient, and you can learn all about the different factors that influence the cost by clicking on the button below. “I feel like a whole new person since I got my implants...coming to this office was the best decision I ever made." Unlike traditional dentures, bridges, or partials, dental implants are the only tooth replacement solution to prevent bone loss in the area where teeth are missing. Implant posts act as your natural tooth root would, stimulating the jawbone and keeping it healthy. Because titanium implant posts are biocompatible, the surrounding bone integrates well to create a firm foundation for the restoration. Furthermore, if you properly care for your implants, they can last a lifetime. Traditional bridges are anchored to surrounding teeth. Even though those teeth may be healthy, they are reduced and permanently crowned to anchor the bridge. An implant-retained bridge has no negative impact on the natural teeth around it. At your initial visit, Dr. Lieberman or Dr. Page will examine your mouth to make sure that your jawbone structure can support implants. Patients who don’t have enough supporting bone may need a bone graft to increase volume in existing bone structure. 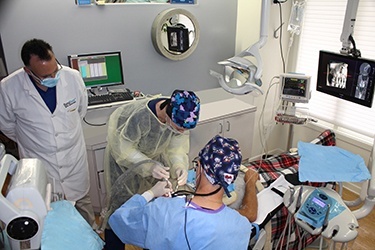 During the first phase of the implant procedure, Dr. Lieberman or Dr. Page will place implant post(s) into your jawbone at our Schenectady restorative dentistry practice. Healing occurs over several months as bone fuses with the biocompatible posts. After the implants are firmly incorporated, Drs. Lieberman or Page will mount an attractive, permanent crown or denture to return your strong, healthy smile. We only work with the highest quality, modern dental materials to provide you with a lasting, natural-looking restoration. 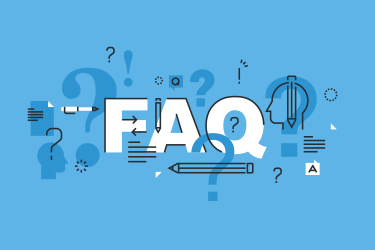 While we’ve likely answered many of your implant-related questions on this page already, we’re sure you have more. By clicking on the button below, you’ll find answers to many of the most common implant questions, including, “How soon can I go back to work after implant surgery?” and, “Are dental implants right for me?” If you’re curious about how long dental implants last or whether you can get them if you’re a smoker, our handy FAQ will give you all the answers you seek! 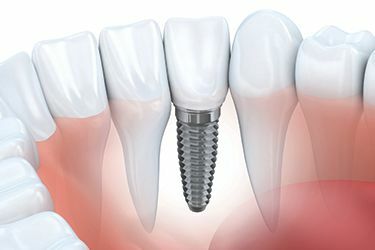 Dental implants create a secure anchor for bridges and dentures. Drs. Lieberman and Page will determine the appropriate number of implant posts needed to secure your restoration. In certain cases, we may decide that mini implants are the best and least invasive choice. If necessary, we can place a temporary denture immediately after surgery so you won’t have to worry about uncovered metal posts in your mouth during the healing phase. Dr. Lieberman and Dr. Page can replace missing teeth as well as removable dentures, bridges or broken crowns with an All on 4® or All on 6® Full Arch Implant Supported Bridge. Kept firmly in place by four to six dental implants, the All on 4® or All on 6® implant bridge is a permanent solution made of zirconia, a strong and dense material that resists chips, breaks and stains. For patients who are missing all or most of their teeth, the All on 4® or All on 6® process can be an ideal solution for replacement that is fast and reliable. 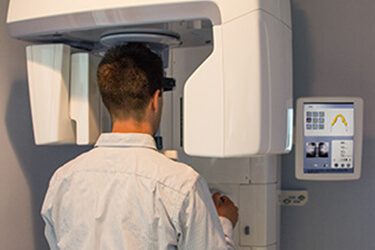 With the revolutionary power of 3D Cone Beam Imaging, planning your implant treatment at Capital Smiles has become an even smoother process. 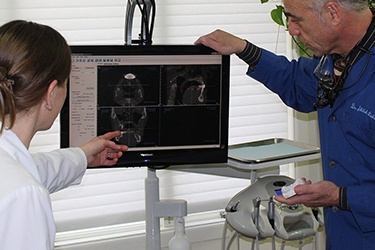 This technology creates high-definition, three-dimensional images of all the patient’s oral and maxillofacial structures for a fully comprehensive understanding of their needs. This means that Dr. Lieberman and Dr. Page will be aware of any potential issues that could arise when placing dental implants in certain areas, such as the density of the jawbone and any bodily interference. The critical information we gather then allows our team to create a well-informed plan of action, ensure safe, predictable results, and provide patients with much higher chances of long-term success. Our 3D Cone Beam has several other valuable uses as well, including endodontic treatment, TMJ therapy, the identification of oral cancer and tumors, and much more. Cone Beam scans can be completed very quickly, and the amount of radiation a patient is exposed to is reduced considerably when compared to more traditional X-ray methods, making them safer as well. There’s no need for an outside office, either – we’re happy to offer this state-of-the-art tool right here in our Capital District location for added convenience and comfort. Our doctors and staff members look forward to transforming your smile and your overall quality of life with Cone Beam-guided dental implants! One of the best parts about getting dental implants is that their care and maintenance is not unlike your routine oral care. Our dentists recommend that you maintain good home care, brush and floss every day, and keep up with your regular dental cleanings and checkups. Your dental implants, for the most part, can be treated just like your real teeth! Of course, there are a few other little tips and tricks that will help your implants last even longer, and you can read about them by clicking below. Why Should I Choose Dr. Lieberman and Dr. Page? Whatever your dental implant needs, our doctors are qualified to perform all aspects of your procedure. 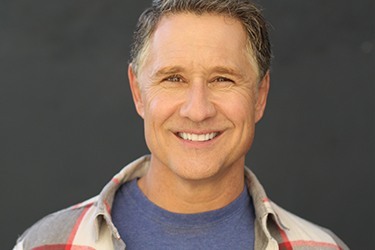 Trained at the Las Vegas Institute for Advanced Dental Studies (LVI) in the latest implant procedures and technology, Dr. Lieberman’s valuable experience will provide you with a solid solution that suits your unique situation. To speed up healing and promote bone reformation around dental implants, Dr. Page and Dr. Lieberman may recommend using your own platelet-rich plasma and platelet-rich fibrin. The procedures (PRP and PRF) centrifuge your blood to isolate growth factor rich platelets, which are then placed around the sites of your dental treatment to promote healing following periodontal or surgical procedures. Dr. Page and Dr. Lieberman perform PRP and PRF from the comfort of our Schenectady office, for maximum comfort and efficiency. Contact our Schenectady dental office today for more information about dental implants or to schedule an appointment with Dr. Lieberman or Dr. Page. Our practice is close to Saratoga, Clifton Park, Albany, Troy, Niskayuna and the surrounding Capital District.